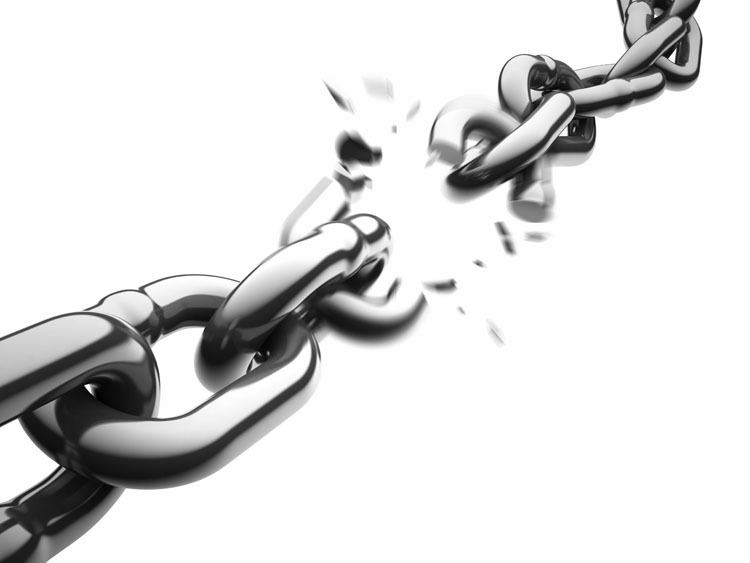 A broken chain is a problem when selling a property via an agent. Fact: one in three sales agreed via estate agents results in an aborted sale and fails to exchange contracts – all that wasted time and money. If you have a problem sale and want to prevent the inevitable house chain collapse, get a free, no-obligation, instant, online offer for a quick cash sale from quick sale experts, 365 Property Buyer. We can rescue a broken chain by stepping in as a new buyer and buying your property with an exchange of contracts in 7 days. Selling through an estate agent on the open market provides little protection to the seller, which can result in a sale falling through due to a problem buyer. In many cases, a buyer can’t get a mortgage or is in a long property chain themselves. Your estate agent may have presented them as a reliable buyer but they are under no obligation and we see many cases where the home sale falls through due to buyer issues. You may have the perfect buyer, but what if the problem is further down the chain? The seller has no control over the property chain nor does the estate agent. Many things could happen: gazundering, gazumping, house down-valued survey or buyer simply gets cold feet and pulls out of the sale. By using a safe, guaranteed cash buyer like 365 Property Buyer ensures your home sale won’t fall through. 365 Property Buyer is a cash buyer. You don’t need to worry about a mortgage, chain, estate agent, fees or costs! Get a quick hassle free sale and avoid a broken chain.